The Breeze trading company discloses the following information for the month of August 2016. 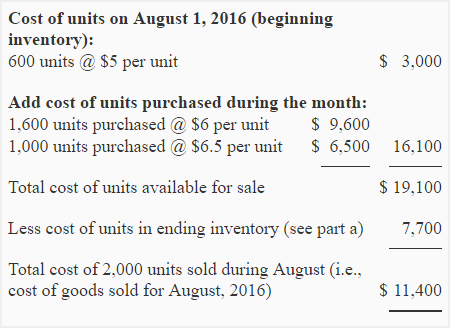 Aug. 01: Beginning inventory, 600 units @ $5 each each. Aug. 10: Sold 400 units @ $12 each. 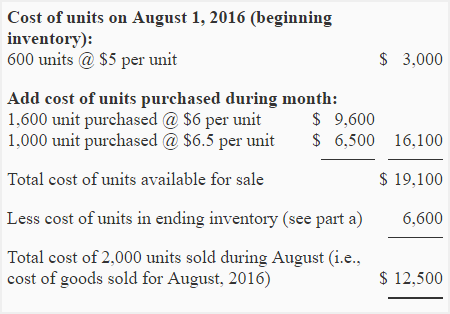 Aug. 11: Purchased 1,600 units @ $6 each. Aug. 15: Sold 1,000 units @ $12.50 each. 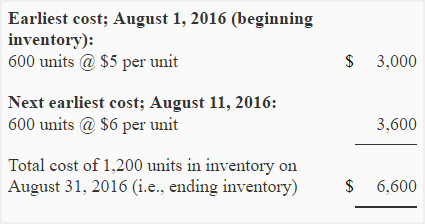 Aug. 20: Purchased 1,000 units @ $6.50 each. Aug. 27: Sold 600 units @ $13.50 each. Explain the reason of higher gross profit under FIFO than LIFO? 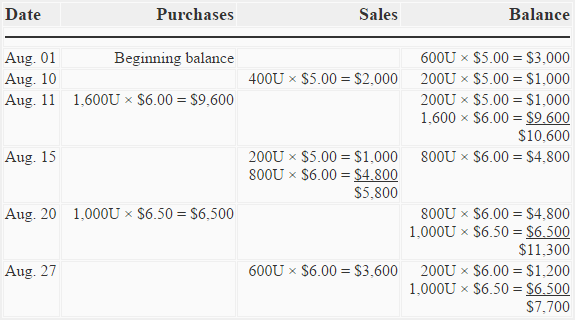 We need to prepare a perpetual inventory card using FIFO method to find ending inventory, cost of goods sold and gross profit. $7,700 (see last row of balance column). We need to prepare a perpetual inventory card using LIFO method to find ending inventory, cost of goods sold and gross profit. Under LIFO cost flow assumption, the most recent costs are matched against revenues, whereas under FIFO cost flow assumption, the oldest costs are matched against revenues. In inflationary environment (an economic situation where prices continuously rise), the FIFO produces higher gross profit than LIFO. The reverse is true in a deflationary environment (an economic situation where prices continuously decrease). In this exercise, the prices are rising therefore the FIFO produces a higher gross profit than LIFO. Very Impressive lesson. Clears my confusion about Ending inventory in Perpetual System. Really helpful and informative. Giving me some better ideas now. 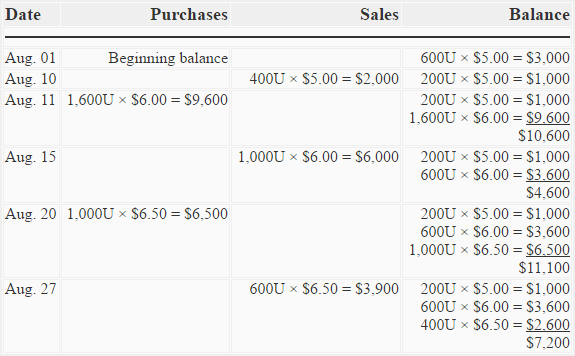 how we have got 6.50 units in fifo method? Prepare inventory sheet (bin card) by average method in perpetual and periodic.